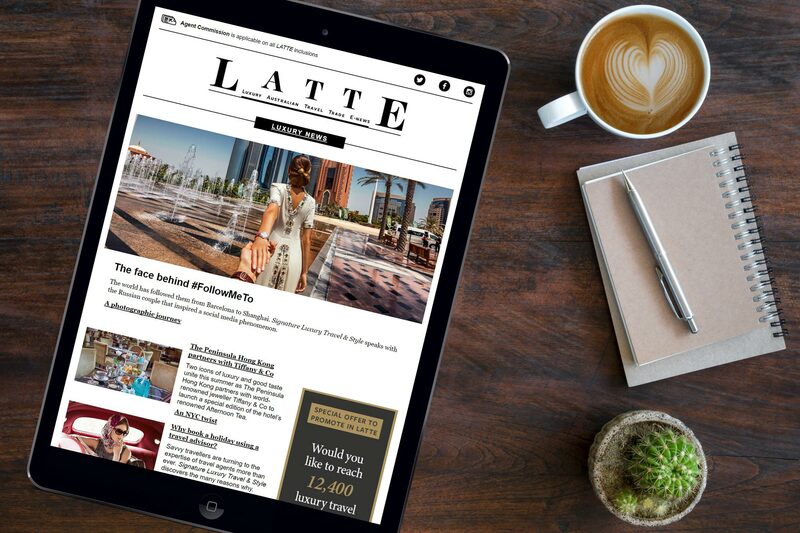 This week LATTE chats with Hawaiian Airlines’ National Business Development Manager of MICE/Groups and Cruise, the one and only Joyce Weir. The highly regarded Weir joined the Honolulu-based airline three years ago, following a 20-year career with Qantas that included over 10 years as a Regional Account Manager. LATTE sat down with Weir to get a better understanding of Hawaiian Airlines’ offering to the Meetings, Incentives, Conference and Exhibitions markets, and find out why Hawaii should be front of mind for Australian conference organisers. Joyce, why is Hawaiian Airlines a great choice in the MICE market to Hawaii? For starters, Hawaiian Airlines flies daily from Sydney and three days per week from Brisbane non-stop to Honolulu, with smooth connections for groups from across Australia. For large groups, there is the option for split departures from both cities, which is uniquely available on Hawaiian with two Honolulu-bound flights on three days of the week. Can you tell me about Hawaiian Airlines’ MICE focus? The MICE segment is a relatively new focus for Hawaiian Airlines in this region, but one where there are boundless opportunities to develop, and I was brought on board to penetrate this market. We are conscious it’s a market that takes several years to really build. Due to the number of PCOs in Australia, it will take time to introduce them to the destination so they may experience all the amazing options that Hawaii offers. It is a gradual process to build the MICE business, but Hawaiian Airlines is happy for it to be measured. Hawaiian Airlines recently announced a commitment to expand its fleet with the purchase of Boeing 787 Dreamliner aircraft, and we anticipate our MICE market to grow accordingly. What are the perks for MICE delegates flying with Hawaiian Airlines? An outstanding benefit of flying with Hawaiian Airlines is our industry-leading, generous luggage allowance. Economy class passengers are entitled to two 32-kilogram pieces of checked luggage, along with 11 kilograms in the aircraft cabin. It’s a unique benefit for delegates travelling with marketing collateral, golf clubs, musical instruments or other equipment. Hawaiian Airlines’ Extra Comfort seating is also extremely relevant for this market segment. We have 68 Extra Comfort seats on our Airbus A330s and this product has become very popular on flights from Australia to Hawaii. For an ‘add-on’ of AU$165 to a Main Cabin Economy fare, guests enjoy 36 inches [91 centimetres] of seat pitch (more legroom), priority boarding at the gate, complimentary on-demand in-seat entertainment, comfort kit and a personal power outlet. If a PCO has a small group – say 50 – and they want to fly all guests in Extra Comfort, we will block those seats off under the same conditions that apply for Economy/Coach. Why do you think Hawaii is a fabulous destination for PCOs? For a number of reasons … Firstly, the Hawaiian people, with their charm and demeanour and genuine warmth, combined with a deep respect for the land and the culture. Hawaii is not just the ‘shop-&-drop’ location many people may have once thought it was. My experience has been far deeper and from a totally different perspective over the past three years. Hawaii is a destination with marvellous private estates available for PCOs to host events. I’ve been travelling to Hawaii for 20 years and I had no knowledge of those venues, located in the middle of Honolulu. Amazing events can be held at the Iolani Palace and Barracks House, where you can hold a long-table dinner for 30 or hold an event in the grounds for up to 2,000 people – it’s just magnificent. Where else in the US is there a Royal Palace? There isn’t. Then there’s the fabulous Kualoa Ranch, offering so many different options for groups of all sizes, and the amazing USS Missouri at Pearl Harbor. Again, where else in the world can you hold a cocktail event on board a real WW2 Battleship? If a group wants to connect to an outer island, how are flight connections in Hawaii? Hawaiian Airlines offers 170 daily flights to its neighbouring islands in a convenient schedule that makes it easy to island-hop throughout the Hawaiian chain. We are adding more inter-island and US mainland-to-Hawaii flights as we grow. When you book your trans-Pacific Hawaiian Airlines flight in Australia, Hawaiian offers a very reasonable $110 return to an outer island. It is exceptional value. And beyond Hawaii to the mainland? We offer 12 exciting mainland options. Besides Los Angeles and San Francisco, Hawaiian flies to three popular destinations on the mainland that Australians love to visit: Honolulu–New York, which makes it one-stop from Australia and bypasses chaotic Los Angeles; Honolulu–Las Vegas; and we also fly from Honolulu to Seattle, for cruise ships sailing to the Inside Passage. Most recently we have also added Honolulu–Long Beach daily services, which has been popular for families visiting Disneyland. And we’ll be adding Boston come April next year. What promotional fares are in the market for event organisers? We recently introduced some special group fares that are advance purchase fares. The lowest fare starts at $699 return, then $799 (plus taxes), which are excellent value from Sydney and Brisbane. Does Hawaiian Airlines work with local operators? Yes, we appreciate local operators as our valuable partners with whom we can combine resources to further develop the groups market for mutual benefit. This might include hotel value-adds, special rates, removing resort fees and using off-beach locations for MICE clients. What is it about Hawaiian Airlines that draws Australian travellers to the airline? Hawaiian Airlines is a truly unique airline. As Hawaii’s ‘destination airline,’ we bring authentic Hawaiian hospitality to every aspect of our guests’ experience. The airline’s signature “mea ho’okipa” (I am host) onboard hospitality engages guests throughout the flight with a warm and friendly celebration of the culture, people and ‘Aloha Spirit of the Hawaiian Islands.